Almost all foods that seemingly delicious are unhealthy as well. And, this generalization is undeniably true. Things that are more likely prohibited seem pleasing to our taste. And, food that we really love belonged to these so-called prohibited things. Some people would agree to this notion as it also applicable to other great things that were in fact not good to us. 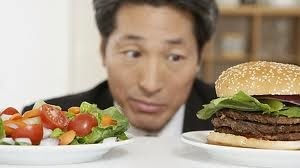 Unhealthy food can be everywhere, but people still love to eat these despite of the fact of not being good to the body. Perhaps, it can be okay for some, but precaution and limitation are imposed among individuals who have medical condition. So, what are these foods? Mainly, these foods have too much sugar or fat contents on it. And, the following are food having too much of these proven unhealthy for the body. To be understood clearly, one must know that fat is a stored energy that was generated from carbohydrates or glucose, commonly known as body sugar. Too much body sugar in the body is unhealthy, especially for people with diabetes as it makes the blood viscous, thus slows down body circulation. Aside from the excess fat content and sugar that makes some food unhealthy, there are other inorganic ingredients that make food unhealthy for the body. These are preservatives. It is plain to see that although these help in preserving food, chronic and unfavorable effects to the body cannot be denied based on many health research. So, what are these foods? Workaholic individuals don't have time to prepare food when they went home and end up preparing food such as instant noodle. Aside, from preservatives, noodles contain fats that are hard to dissolve by the body. Pies and baked goods are delicious indeed, but some bakers would tend to add too much sugar in toppings that can be unhealthy. Although body needs high amount of carbohydrates, too much is not good for the body. In fact, in many weight loss programs, cutting carbs is mostly done. Icing or frosting is what makes all cakes unhealthy because of too much sugar. One's beauty could deceive the eyes. Again, another source of sugar! The issue about chocolates and other food rich in sugar is in terms of its consumption. This is to say that too much eating of chocolate, along with the mentioned food earlier, one could get sick. So, it's really important to limit oneself of food rich in sugar. Studies have shown that preservatives from canned goods are unhealthy, and could contribute to cancer. Corned beef and sardines are some examples of canned goods having preservatives. This is another type of food rich in preservatives. With the introduction of Monosodium glutamate, preserving junk food is possible, but its drawback to one’s health is unforgivable. Always remember that things that are done quickly may not be better than to things that are prepared well. This is applicable in serving food. Food prepared at home seems healthy as compared to fast food chain where everything is instantly served. The foods served in restaurants are high in calories.